We are delighted to announce that Sarah Bridge has joined the company in the role of Group CEO with responsibility for all aspects of our business in Norway, Sweden, the UAE and Lithuania. Sarah’s role also encompasses the development and implementation of the strategic vision and plan for the Company. Sarah has 25 years’ experience in the Global PPE industry having spent 13 years as a Director of Polyco in the UK, and prior to that a number of years with North Safety Products where she was European Sales Manager for Technical Products. 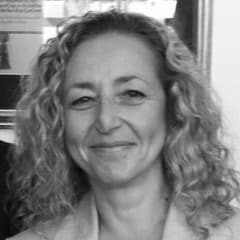 Sarah is a past Chairman of the British Safety Industry Federation (BSIF) and remains actively involved as a Director of that organisation. Having specialised in hand protection for many years and with a Master’s Degree in Engineering, Sarah is passionate about technical innovation in gloves and in enhancing safety, comfort and productivity in the workplace with a particular focus on high hazard applications and environments. Sarah Bridge will be based at our Head Office in Bjoa, Norway but will also be travelling widely in Europe and beyond in order to implement our Strategic Vision and looks forward to meeting as many of our customers and glove wearers as possible. Ole M. Granberg will remain in the company as Executive Chairman overseeing all aspects of the business and will be focused on the company’s global expansion and strategic business development via technical innovation and new products.